The students at Kishimai High School enjoy a blissful existence filled with classes and daily performances by the intoxicating virtual idol μ (pronounced myoo). While many students are quite content with this idyllic lifestyle, a few of them have uncovered a terrifying truth about their lives: everything is a lie. The “perfect” world they inhabit is actually Mobius, a virtual reality construct created and ruled by μ. The protagonist discovers this secret and must join with a group of other enlightened students, who call themselves the Go-Home Club, to escape. However, to do that they must fight brainwashed students called Digiheads, battle nefarious musicians, confront μ, and face their innermost traumas in order to truly become free. • A human story set in a virtual world – Experience a dark story as the Go-Home Club does whatever it takes to escape the digital prison known as Mobius. The crew must defeat a group of evil music producers (known as the Ostinato Musicians) who have been working with μ, and come face-to-face with their own black secrets/desires. Written by Persona series veteran Tadashi Satomi, players will fight towards freedom as they examine the ugly psychological issues that plague the various characters in the game. • Multiple relationships to nurture – There are 500+ NPCs to recruit into the party to be used in combat. Each has a preassigned class (such as offense, support, etc…) and have a unique background story that’ll slowly be uncovered by completing various quests. Oh, but there’s only 4 characters in a party, so choose your teammates wisely! • A strategic battle system – The game features a unique battle system called “Imaginary Chain” that makes encounters an exercise in planning. Once enemies are encountered, players will seamlessly transition into battles where they can choose from 100+ skills to unleash on their enemies. While choosing skills, players can adjust timing and see a simulated preview of their attack before committing to it. Maximize damage by creating deadly attack chains between party members and don’t let enemies catch their breath! • Music by celebrated producers – It’s only fitting that a game about fighting musicians features original songs by celebrated Japanese producers such as OSTER project, 40mP, 164, [email protected], and more! 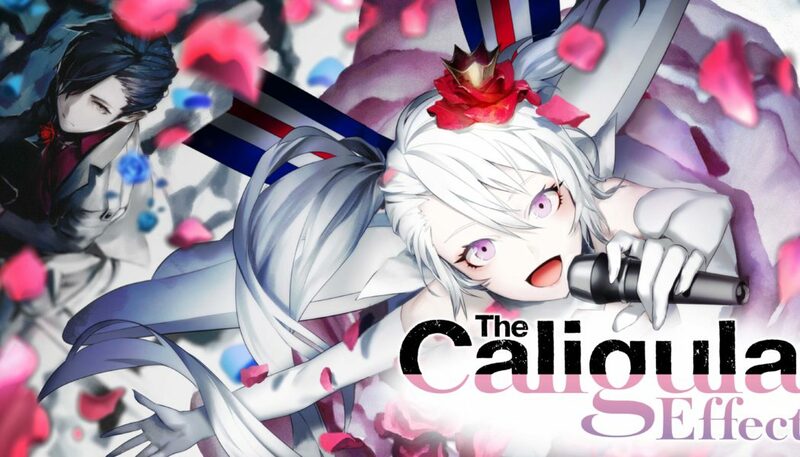 The Caligula Effect is set to launch for the PlayStation Vita on 2nd May.